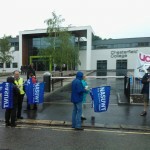 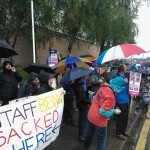 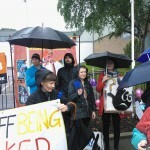 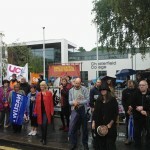 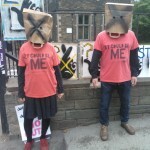 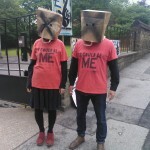 UCU members at Chesterfield College took their third day of strike action today (Thursday June 20th) in the fight against compulsory redundancies at the college. 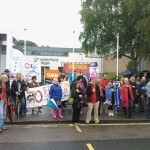 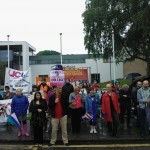 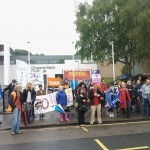 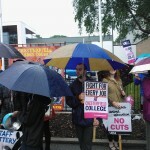 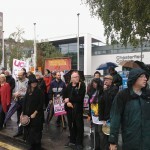 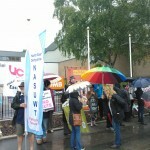 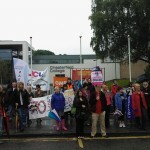 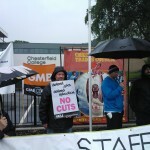 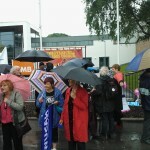 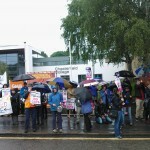 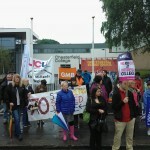 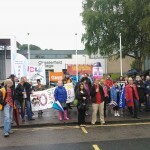 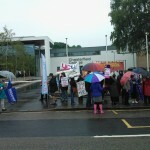 Despite awful weather there was once again a great turnout on the picket lines from both UCU and NASUWT members. 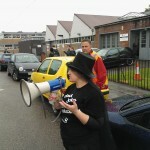 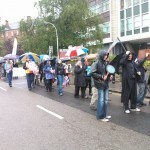 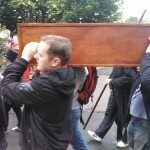 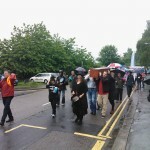 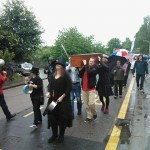 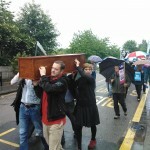 Strikers highlighted their opposition to the jobs massacre at the college by holding a “funeral march” complete with coffin, mourners in black and the grim reaper. 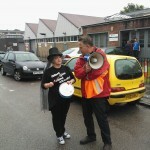 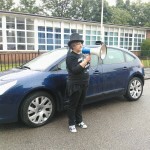 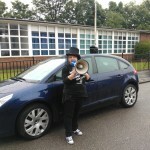 Strikers had brought along pots and pans and the normally quiet Infirmary Road rang out to incessant beat of protest. 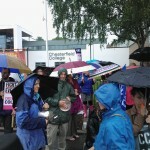 UCU members will be meeting on Tuesday to map out the next stages in our campaign to Save Jobs and Save Education at Chesterfield College.